Highest rating: #19 in fantasy! Edlyn has never fit in. With her unusual white hair and silver eyes, she sticks out from her village of brown. To make matters worse, unexplainable things tend to happen around her-things that she can't control. In a time of turbulence surrounding the use of magic and those who possess it, Edlyn's life may be in danger. 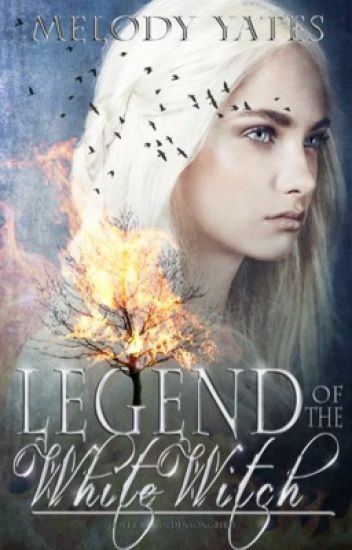 But when her village is attacked and she learns of an entire world of magic she never knew existed, Edlyn will realize that her destiny involves much more than keeping her powers hidden from the locals. To save the world of her new friends as well as her own, she must embark on a journey across unfamiliar lands filled with danger, loyalty, betrayal, and love. Will she be able to defeat the wicked witch who threatens to destroy everything and everyone Edlyn cares about? Feared by his enemies and tolerated by his allies, Sedgewick Alverdyne, the cynical Minister of Magic, was content with living an attachment-free life whilst striking fear into the hearts of witches, sorceresses, and wizards everywhere. And after several hundred years of faithfully serving the royal family, he's become very comfortable in his position-including his indispensability. But when a mysterious curse starts wreaking havoc on his powers, his stable existence is pulled out from under him. Facing old and new enemies on one side and his own department on the other, Sedgewick finds himself stranded with little magic and less help. With time of the essence, his reputation on the line, and no one willing to help but Feyla, his meddling-yet surprisingly devoted-assistant, he's forced to confront one of the few challenges he hasn't prepared for. Amazing cover by the equally amazing mahana258 ! 2nd place winner of Edit Review Club's fantasy contest. A college town deep in folklore, murder and mystery. A black hooded figure suddenly appeared behind her. She gasped and her brown eyes grew wide. Nathan watched helplessly as a small trickle of blood fell from her mouth. Other hooded figures appeared; their silver swords clutched upright against their chests. Nathan held tight to her lifeless body while trying to fight back the tears that swelled in his eyes. "No," he cried. "No!" Nineteen-year-old Nathan Urye is supposed to be having a relaxing summer as a camp counselor but ever since he started having nightmares about a beautiful girl being hunted by flesh-clawing monsters, his life has been anything but normal. Soon, Nathan discovers that the sleepy college town of Cahokia Falls is far from ordinary when two unexplained deaths rock the town and campus. Who or what is behind the murders? Does it have anything to do with the newly-discovered cave symbol? And what about the spine-chilling campfire stories about ancient tribal beliefs and mystical legends? Once upon a time, in a land known as Nuvinia, there were two statements that all inhabitants knew to be fact. First, the two kingdoms of Nuvinia, Dral and Proghund, despised one another and would spend eternity at odds. Two, one should practice extreme caution when at sea, because the waters were infested with seductive sirens who would happily sing you to your grave. For a young siren named Vivian, there were also two statements that had always been accepted as fact. One, she must not reach the age of eighteen before mating with and drowning a human man, or else be cast out from her pod to fend for herself. And two, she could not kill someone, even a human, for it would tear her apart. But she has to try. Just twenty-eight days before her birthday, Vivian sets out to find her victim. A quick turn of events results in her being taken aboard first a ship captained by a handsome Dralian pirate and then the boat of the dashing Proghundese prince himself. In the days that follow, Vivian explores the human world and its inhabitants instead of searching for a victim as her family believes she is doing-and the more that she does, the more she resents what she must do in order to stay with them. As she becomes friends with the prince and the pirate, Vivian discovers that her true destiny is to follow her heart rather than please others. And if she's lucky, Vivian may even stop a deadly war during her journey to find where she truly belongs. I, Aspen Grace am an Anomaly. The most repulsive mutation known to humankind. Purple eyes. Purple blood. And a Gift. I'm supposed to receive my Gift tomorrow. When I turn thirteen. We all do, us Anomalys. My parents locked me away my whole life to protect me from the outside world. My uncle found a boarding school for people like me. Hippoplum Academy of the Celestial Arts. A story of loss, betrayal, and finding yourself. If you are into dead Queens, Reincarnation, hot guardians and new friendships that bind...then this book is for you! Avery Ferox has always been the open minded type, But when a tragic accident leaves her to die and part from her body she is thrown into a world she never knew existed. Synchronous, a world between worlds, where the supernatural come from. Avery is faced with obstacles that she never thought she would ever have to overcome, trying to come to terms with the fact she will never be able to see her family again, learning about her new power she has just come into at the Gifters School for the gifted and trying her hardest not to fall for The one man that could bring her to her knees  is more than she can handle. Then, when certain events lead her to disinter a history of a queen long dead she sends her new life into peril. Will she run?...or fight for what is rightfully hers. DISINTER is the #1 Book in the series "SYNCHRONOUS"
The land is always covered in snow, so how can anything - let alone anyone - survive there? At least not without the Ice Queen's permission. It's her land that goes on for miles, her power that she gains from the cold, and her wickedness that has kept her the most feared living thing for over a thousand years. And that will soon be my land, my power, and my throne, because on my 100th birthday, I will kill my mother. Highest rating: #278 in fantasy! Time has passed, and now, everything is different. With Anabella presumed to be dead or dying, the realm has forgotten her and turned to the newest distraction - the long awaited wedding between Iora's eldest princess and Trävore's most esteemed knight, famous for bravely accompanying the White Witch during her fateful journey. Human and fairy kings and queens alike believe their people to be safe from evil once again, but Edlyn knows better. Anabella is out there somewhere, weakened but still wicked, and patiently awaiting her chance to return. Edlyn's claim to the throne is threatened by her existence, and her friends and family may still be in danger. Her grandfather has yet to be found. Her journey is far from over, but Edlyn wants nothing more but to be finished with it all, to be taken back to the time before her life was wrecked by Anabella. Her relationship with Peter is shakier than ever, Alec has been distancing himself, and Celeste is too heartbroken to be of any help to Edlyn. She still has a long way to go, but will Edlyn be strong enough to defeat the world's most powerful witch, even when all of her relationships have been severed? DO NOT READ UNLESS you have read Shadow's Edge. Mara and her friends have returned for another year at Shadow's Edge, only some things have changed. Mara is now the witch representative on the High Council, and she has learned that her friend Marx is actually her mate. But after the betrayal from Zander, Mara still has issues letting Marx in. Mara has spent the past summer with Trixle and her family in the Fae Kingdom, and in that time she has learned more about the Magical Realm than she ever thought possible, and her powers have grown significantly. Things for Mara Crowland are definitely starting to look up. That is until they start to slide back down. The High Council has learned of a threat to the organization as well as the rest of their world. Will Mara be able to help the Council in ridding their world of the threat, or will the Council fall and ultimately bring on the destruction of the Magical Realm? I do not own the image for the cover!